Following the recent transfer of Mr. Kazemeini Boroujerdi to solitary confinement in Evin Prison, the medieval prison of the mullahs' regime, where he has been under the most brutal forms of torture and inhumane conditions, his physical condition has greatly deteriorated. Consequently, the regime was forced to transfer him to the prison clinic, where the medical staff has been unable to treat his condition effectively. According to a recent report from Tehran to the ''Human Rights and Democracy Activists in Iran'', prison infirmary doctors stated that due to Mr. Boroujerdi’s acute heart disease, his transfer to a well-equipped hospital outside the prison is critical. So far he continues to be denied the right to therapeutic furlough and a transfer to a hospital outside the prison. 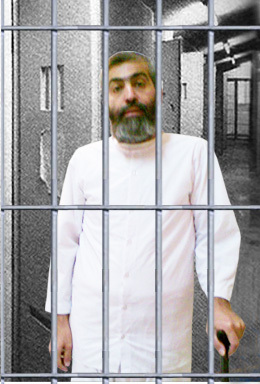 Mr Boroujerdi, a senior Shi'a cleric, is serving the seventh year of his 11-year sentence in Evin Prison. Reported neglect by prison authorities has led to complications of pulmonary edema for the 54 -year- old cleric, including painful swelling in both of his legs. Despite repeated requests for an investigation into the health status of the prisoner of conscience and continuous follow-up by his family to prison officials and the Special Court for clergy, nothing has been changed. Prison authorities not only have ignored the requests, but have been prevented delivery of the medicines that have been provided by his family. Mr Boroujerdi's family and The cleric’s supporters, warn about the serious threat to the life of Mr. Boroujerdi. Human Rights Activists for Democracy in Iran, the High Commissioner for Human Rights, and other international organizations call for the immediate and unconditional compassionate release of the prisoner of conscience. Mr Boroujerdi’s health and life require effective and immediate action.